The Other Side of the Tracks - Fuji X100T, 1/250 @ f/11, ISO 200, 23mm - Processed with Topaz Texture Effects - This image has been a good seller! Night Train Coming - Nikon D750, 1/320 @ f/10, ISO 200, 120mm - Another good seller! 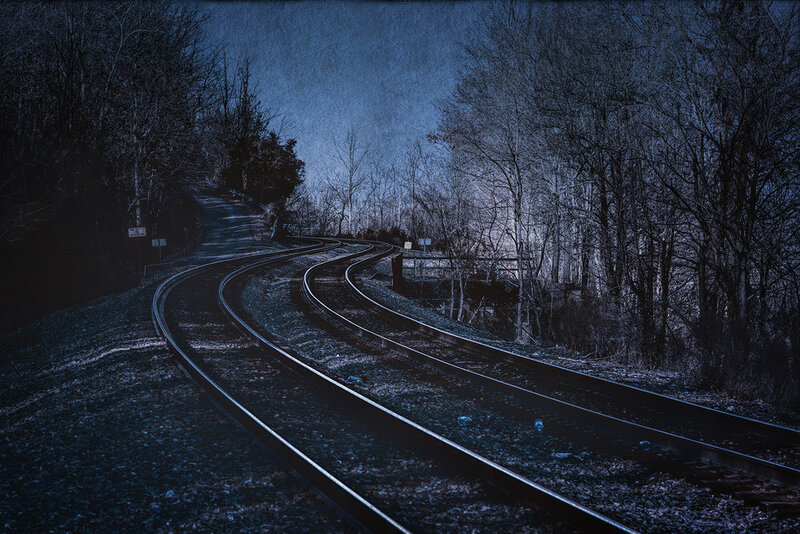 See my poem, Night Train Coming, in the Poetry Section. Door of Perception - Nikon D750, 1/80 @ f/5.0, ISO 1000, 66mm - Double Exposure! 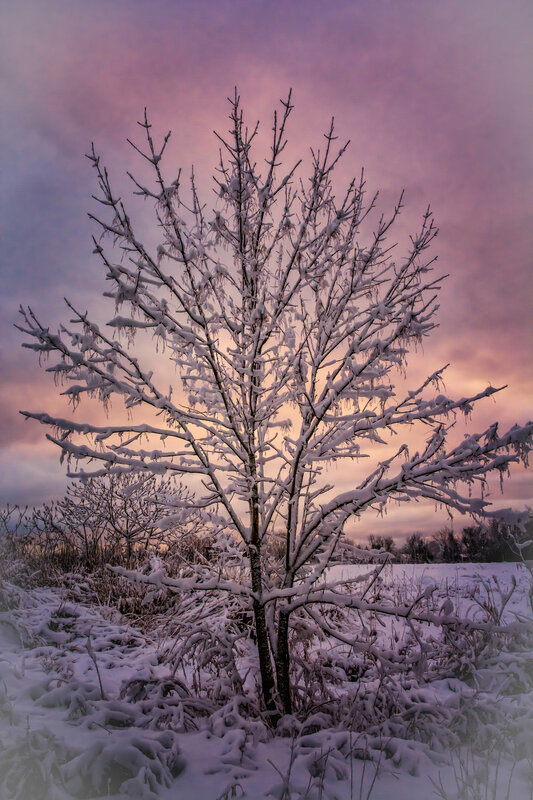 Winter's Dawn - Nikon D7100, 1/200 @ f/8, ISO 800, 22mm - See the poem, Winter's Dawn in the Poetry Section! 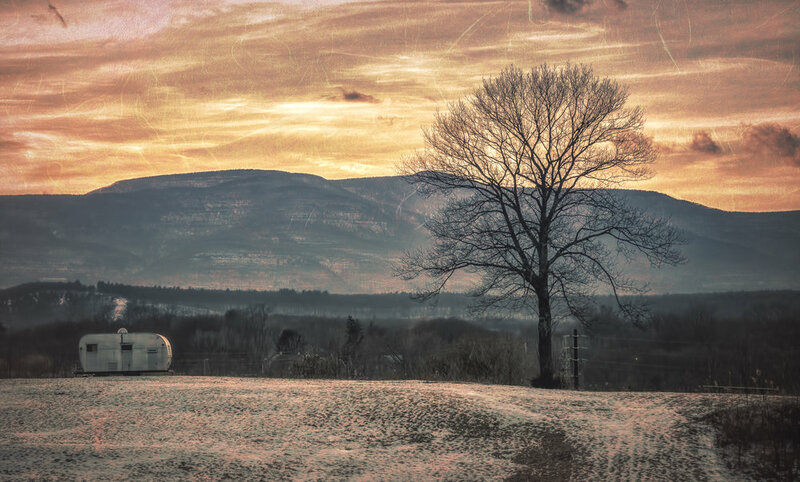 After the Storm - Nikon D7100, 1/125 @ f/8, ISO 200, 28mm - I used a solarization preset in Nix Color Effects for this image. See the poem, After the Storm, in the Poetry Section. The Deep Woods - Fuji X100T, 1/60 @ f/5.6, ISO 640, 23mm - I used the Duplex preset in Nix Color Effects, one of my favorites, to produce this forbidding image. 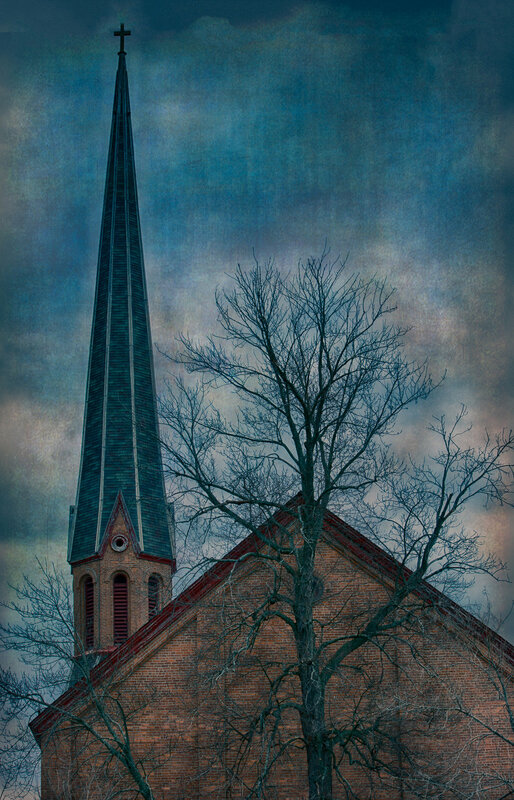 The Steeple and the Tree - D7100 - See the poem by the same name in the Poetry Blog! 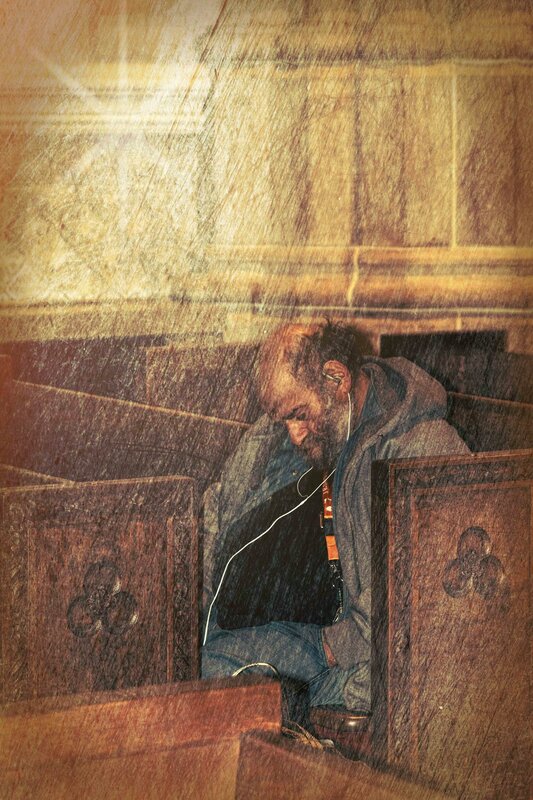 The Homeless Man and the Passerby - Nikon D7100, 1/60 @ f5.6, ISO 1600, 85mm - Shot in St. Patrick's Cathedral, NYC - See my poem of the same title in the Poetry Blog. Moon Glow - Nikon D7100 - 1/640 @f/10, ISO200, 42mm - I wanted an eerie moonlight shot with an old craggy tree silhouetted against a blue black sky. I settled for a Willow shot in the middle of the day and processed in Topaz Texture 2. Do you see a monkey hanging from a branch? 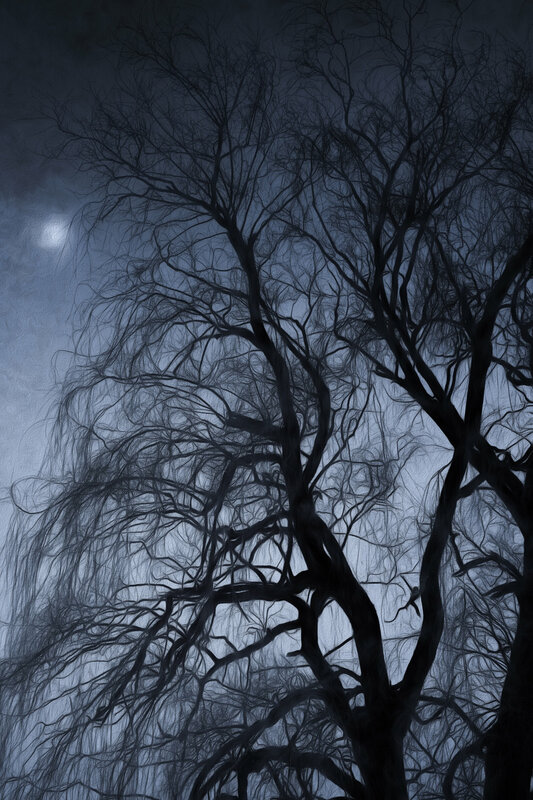 Check out my poem of the same title in the Poetry Blog. The Wall - Nikon D7000, 1/160 @ f/ 6.3, ISO400, 68mm - Processed in Lightroom, Photoshop & Topaz HDR Efex. See my poem of the same title in the Poetry Blog. Reaching for the Light - Fujifilm X100T, 1/60 @ f/5.6, ISO500, 23mm - See the poem of the same title in the Poetry Blog. Through the Open Window - Auschwitz I Concentration Camp - Fujifilm X100T, 1/60 @ f/8.0, ISO200, 23mm. See the poem Through the Open Window in the Poetry Section. 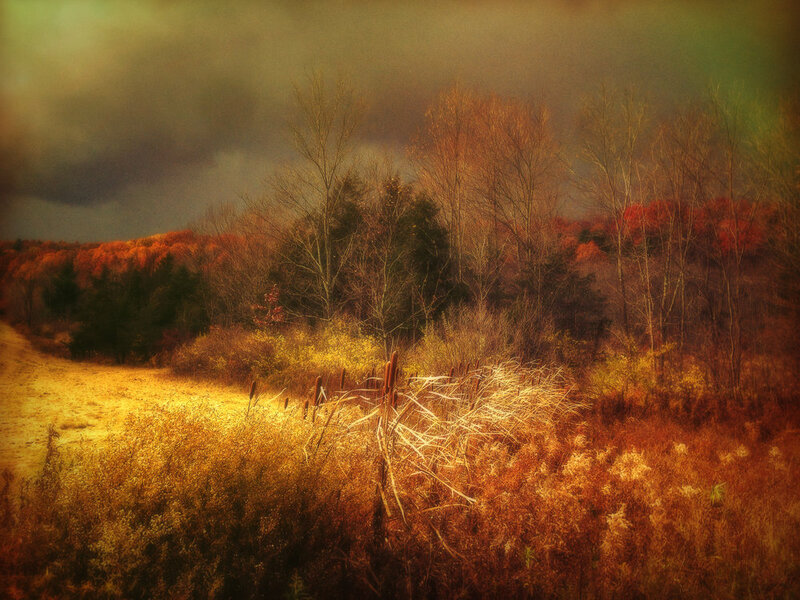 Color Before the Storm - Shot and processed on an iPhone. Field in March - Nikon D750, 1/320 @ f/10, ISO100, 120mm. 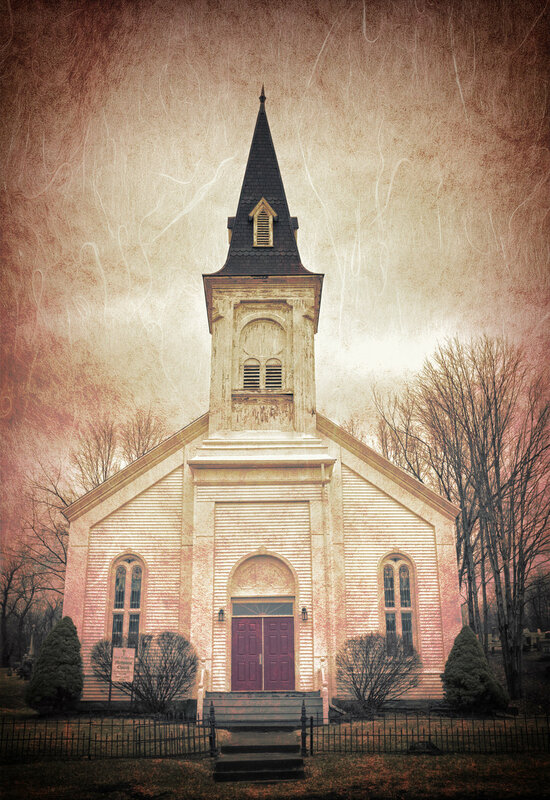 Added a texture and bi-color filter in post to create a more compelling image. I have a thing for lone trees. This photo is one of my personal favorites. Ladders to Nowhere - Nikon D750, 1/400 @ f/9.0, ISO160, 52mm. Yes, this building does exist! It’s in the city of Hudson in New York State. Call it urban art writ large. I love it! Anyway, it makes for a fun photograph.